What shoes you all want to wear during chilly weather? Exactly, ankle boots! In today’s blog post I want to show you my favorite ankle boots designs you all can try on next year. We see women dressed in relaxed clothes, starting from the jeans to sweaters, tops and oversized jackets. The comfort takes a leading position in the world of fashion. 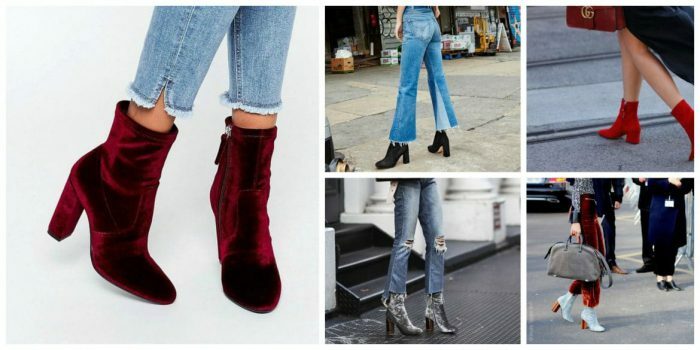 But when it comes to the ankle boots, the tighter, the better! Keep it cool and glamour! You can try on dark maroon velour booties, red ones, shiny gray or white ones. All these styles look awesome with denim.